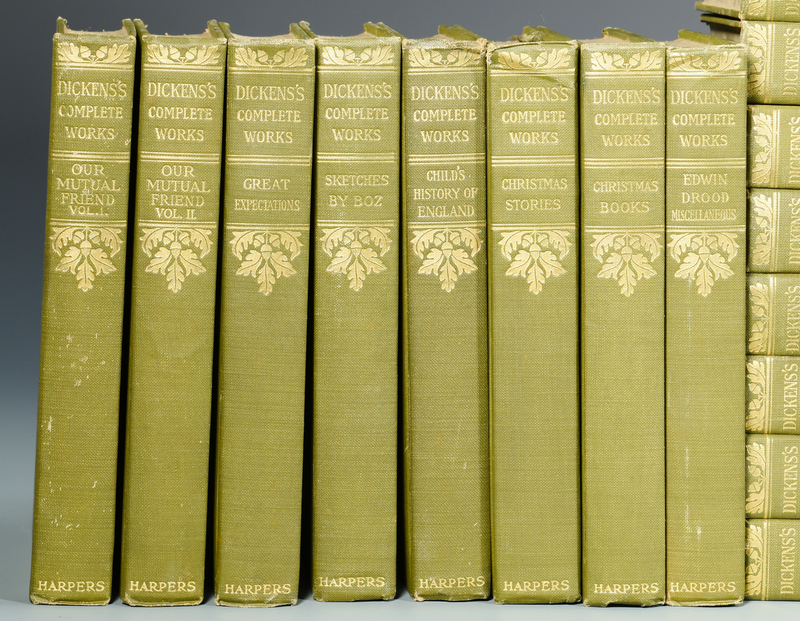 DICKENS, Charles. 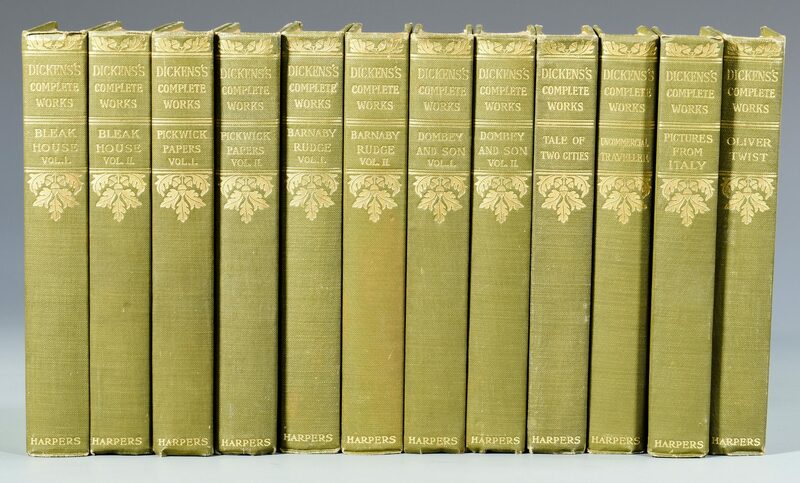 Complete Works (30 Volume Set). New York: Harper & Brothers, circa 1920. 5 1/2" H X 8 1/4" W (Octavo). 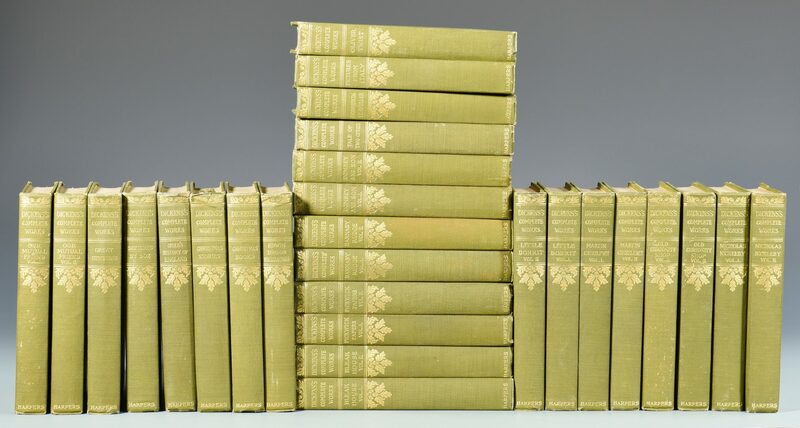 30 Volumes Complete. 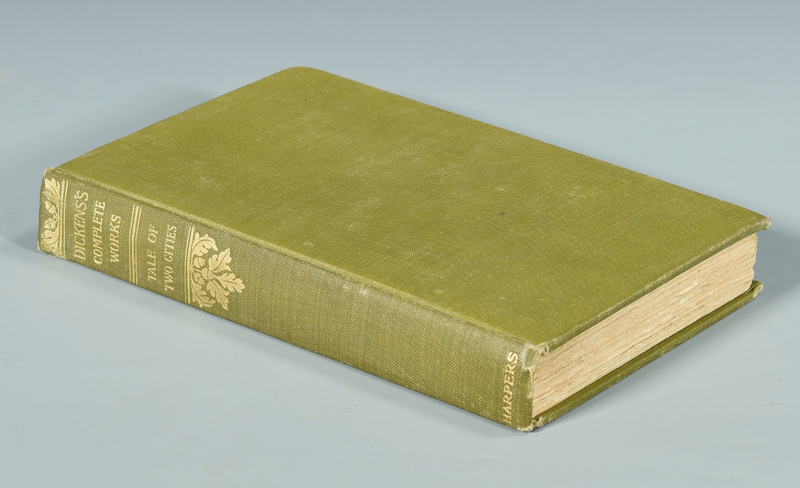 Later Edition Set in original olive green cloth binding. Gold tooling and title work to spine. 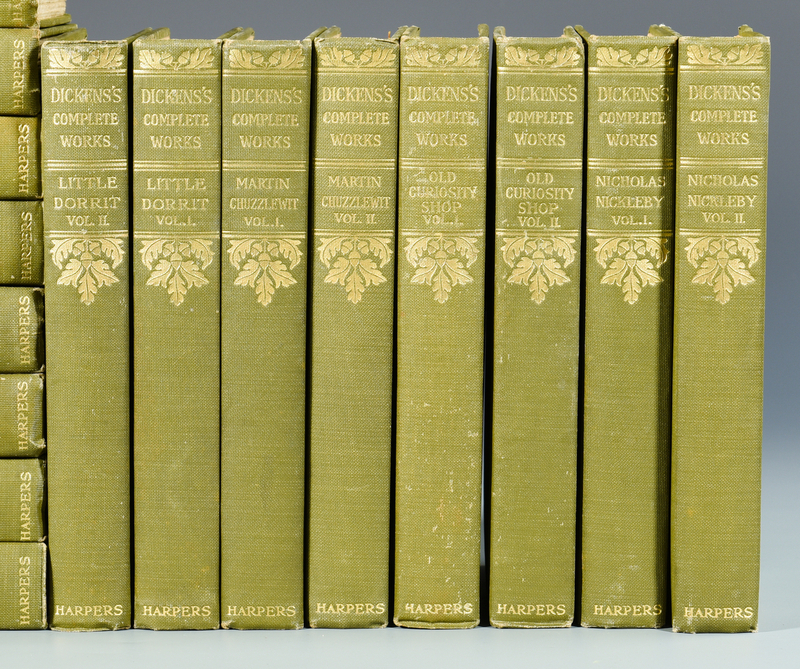 Rough-cut fore-edge on each volume. 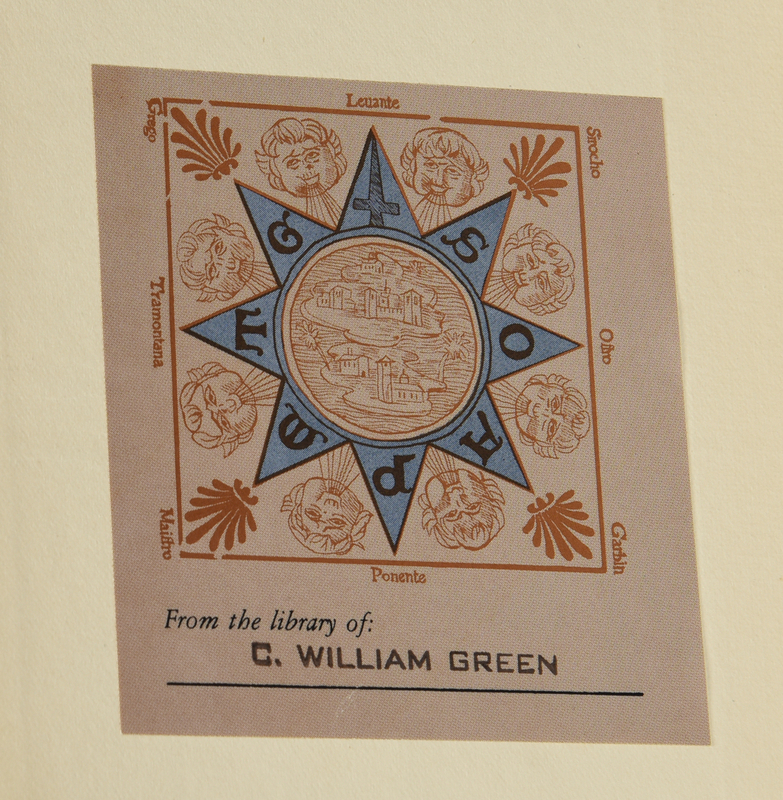 PO Bookplate of "C. William Green" on inside front board of each volume. 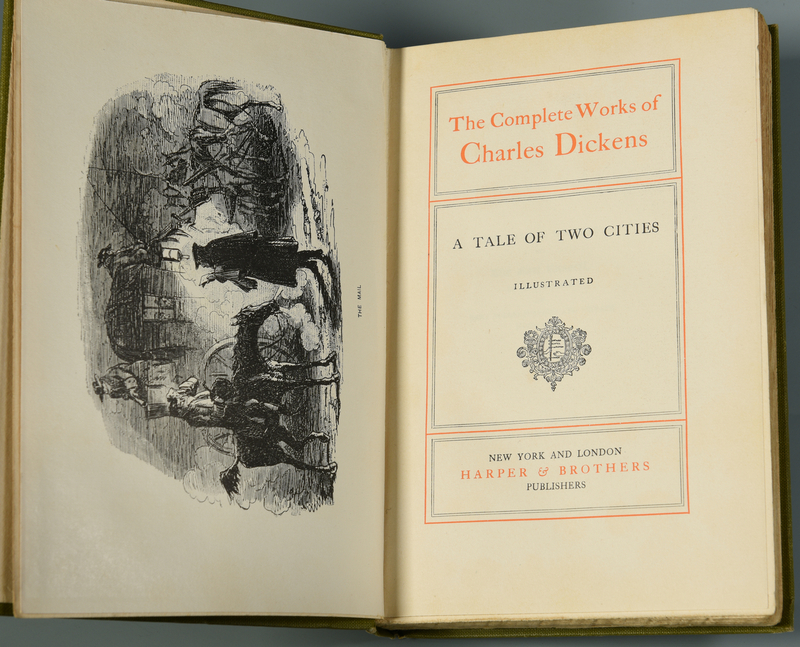 Set includes the classics Great Expectations, The Bleak House, David Copperfield, the Christmas Books, Oliver Twist, Pickwick Papers, etc. Provenance: the estate of Sarah Hunter Hicks Green, formerly of Historic Devon Farm, Nashville, Tennessee. CONDITION: Overall very good condition. A very clean set with minimal handling.